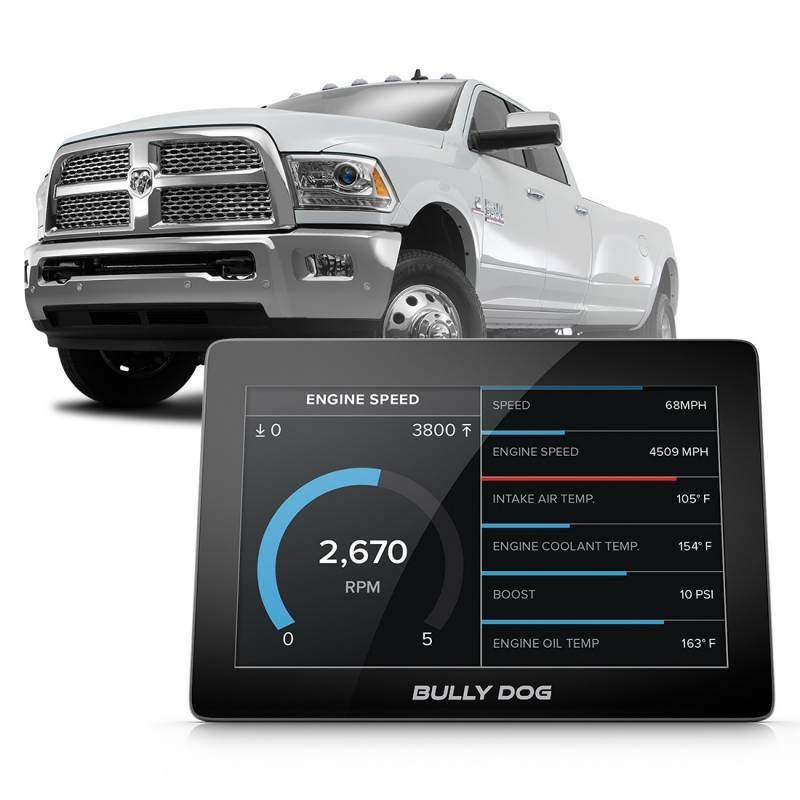 Bully Dog™ is excited to announce their groundbreaking new monitoring device–the GTX Watchdog optimized for 2013+ Dodge® Cummins® vehicles. GT X Watchdog is a revolutionary leap forward in performance monitoring–packed with features and Bull Dog's most advanced hardware to date. GTX Watchdog starts up incredibly fast (even when remote starting the vehicle), and is super responsive, sporting a 5-inch capacitive touch screen that rivals today’s smart phones. 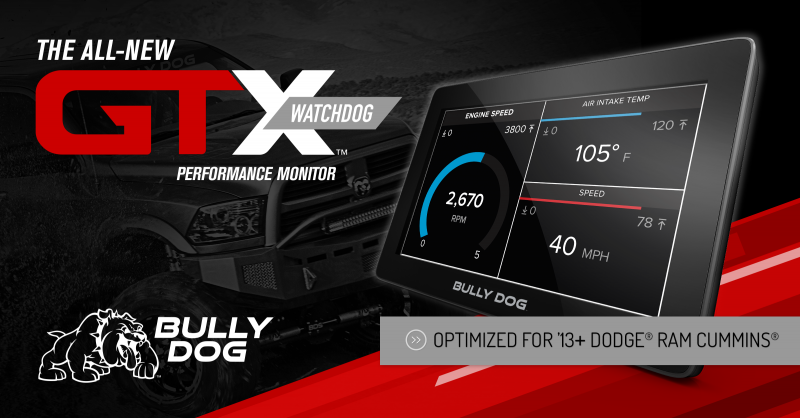 Optimized for Cummins, GT X Watchdog gives drivers the ability to monitor the industry’s most extensive SAE and Cummins-specific PIDS, or engine parameters, on an easy-to-use device. High-resolution customizable gauges and WiFi connectivity add to the truly unparalleled user experience. 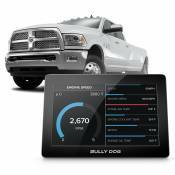 Drivers can log vehicle performance data as they drive–and play it back later using Bully Dog’s free Live-Link software. GTX Watchdog also gives users greater insight into their truck by reading out and clearing Diagnostic Trouble Codes (DTCs). Bully Dog’s unique grab n’ go magnetic mounting system allows the device to be kept front-and-center while driving, and then quickly stowed away when not in use. Finally, for those who want to take their truck to the next level, GTX Watchdog can unlock 2013+ Cummins vehicles for custom tuning using the included Bully Dog Cummins Unlock Cable.